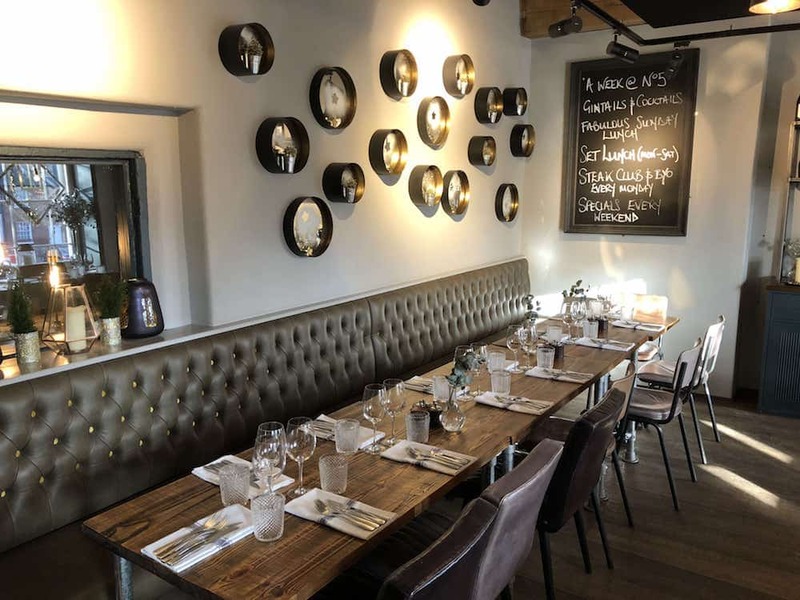 Muddy says: This relaxed, stylish burger and steak specialist in Beaconsfield’s picturesque Old Town is ideally placed for working lunches, Friday sloper-offers and families. You’re wanting a stylish bistro? Oh hello No 5 London End! 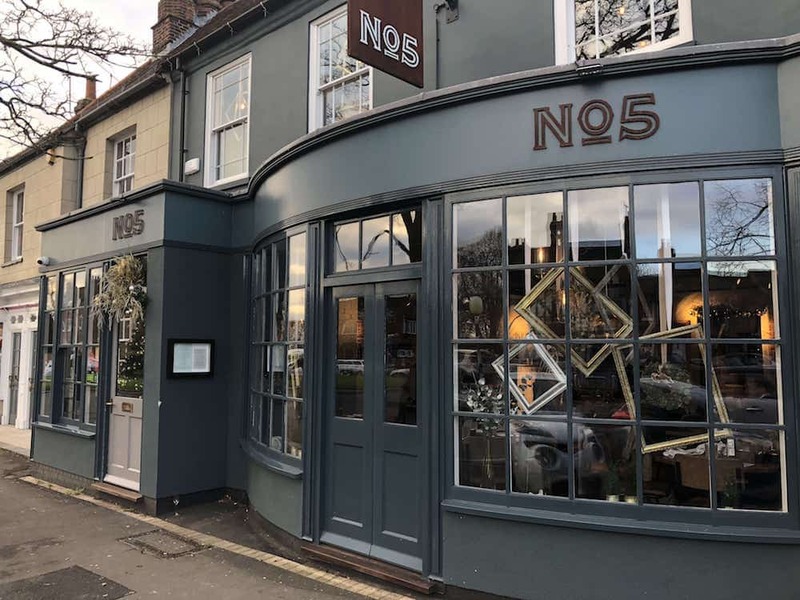 Nestled in the Old Town in Beaconsfield, No5 is an relaxed eaterie, independently owned by the team that also runs The White Oak in Cookham and The Three Oaks in Chalfont St Peter. 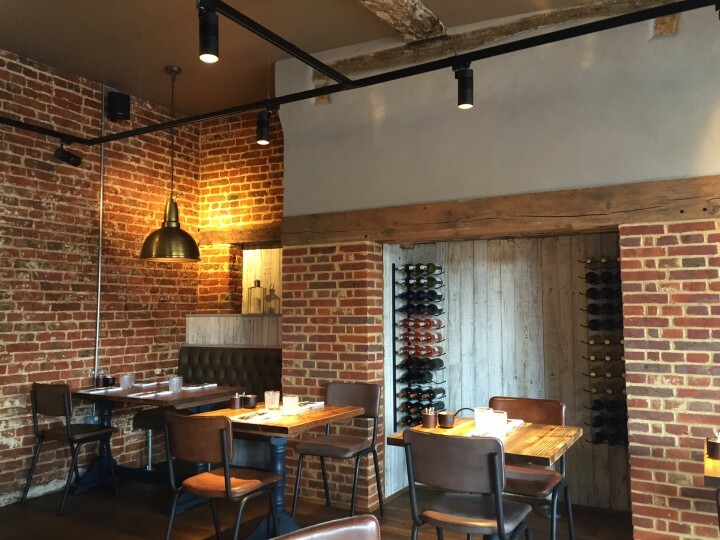 The restaurant is intimate without feeling pokey downstairs (don’t bring children in buggies, there’s no wiggle room!) and it’s attractively furnished with exposed brickwork and wooden wall motifs, plus the obligatory banquette across the wall. 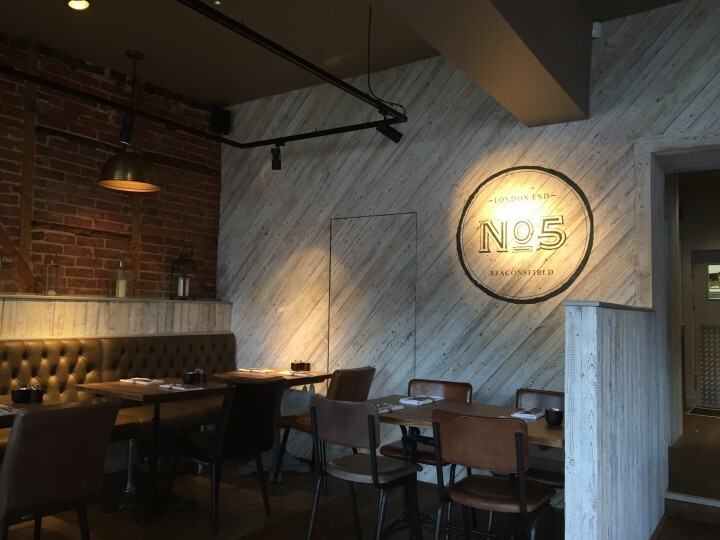 They have a great value set lunch menu Mon – Sat and Monday night is steak night – bring your own bottle of wine with no corkage and get 25% off the steak. There’s also an upstairs space with its own bar, so ideal for private parties.